Making someone redundant? Protect your brand, reduce the stress of the situation and more importantly, assist your staff with a Briscoe Outplacement Service. Call Brian Briscoe or Rose Voce today for more information – 6382 1100. As heard on ABC 720, as read in WA Business News, BRW and many others, we are industry experts on helping candidates in the next step of their career, particularly following a redundancy. 100+ Outplacements at all levels, from mid-level to Executive, over a period of 12 months. Employees were both Perth based and located throughout WA. Project Outplacement to entire team in Perth, delivered within 6 week period with ongoing support thereafter. Workshop sessions as well as 1-on-1 support sessions. Select Outplacement services to Non-Supervisory level of staff, delivered using our 2 month Program. Briscoe were very prompt in providing advice and providing feedback considering the short timeframes. The consultants were excellent in my view. The service and advice provided by Rose has been extremely valuable and contemporary and has made me re-think my overall approach, for the better. The greatest value of your outplacement service is the emotional support. If you are looking for an Outplacements provider with expertise, a successful track record and a caring, responsive style, talk to us today – can your business afford not to? 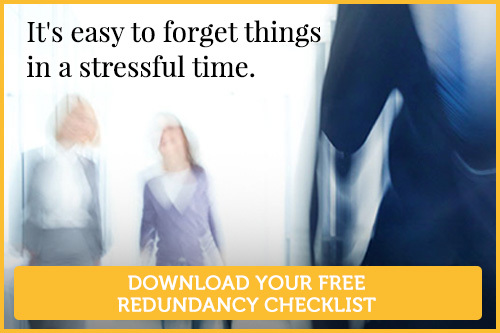 We’ve put together a checklist to help you take care of every detail of the redundancy process, from the preparation and implementation to next steps. 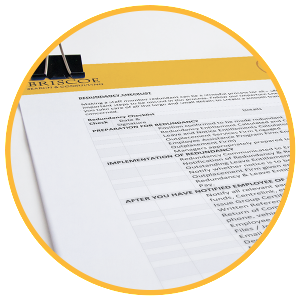 Simply fill in your details and we’ll email you the checklist.